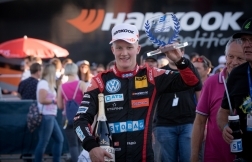 Swiss racing driver Fabio Scherer enjoyed his strongest FIA Formula 3 European Championship performance of the season by finishing twice in the points at a sunny Zandvoort this weekend. 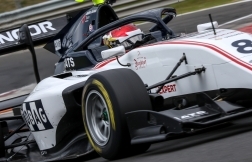 With track conditions exceeding 40°C, Fabio claimed P5 and P9 in two of the three races at the Dutch seaside race circuit, having ended the opening event in P13 in his Motopark-run Dallara-Volkswagen. The 19-year-old laid the foundations for his impressive weekend in qualifying by scorching around the 4.307km track in 1min 29.597sec, which placed him P5 on the grid for race three. He slipped one place to P6 at the start of the race, but quickly moved back up to P5 and was pursuing the driver ahead when the action was stopped prematurely due to an incident. P5 represented Fabio’s strongest result since he finished P4 at Pau back in May. 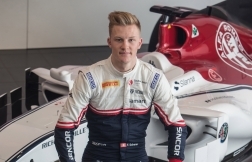 He also grabbed his second podium of the season in the Rookie Championship, finishing as runner-up in the competition for drivers in their debut year of Formula 3 racing. Importantly, Fabio felt that he made significant progress in terms of consistency throughout the race weekend. “My race pace was really, really strong. I was one of the fastest drivers in each race in terms of lap times and that’s really important,” he explained. “I felt that I could push hard in the beginning, middle and end of each race and put other drivers under pressure. Earlier in the weekend, Fabio had finished P9 in the second race. 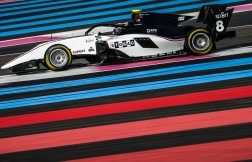 He earned those championship points in style, setting the third-fastest race lap as he chased down the driver ahead, pressurising his rival into a mistake and coolly executing an overtaking move to claim the position. Fabio’s next FIA Formula 3 European Championship outing is at the super-fast Spa-Francorchamps in Belgium on 26-28 July.